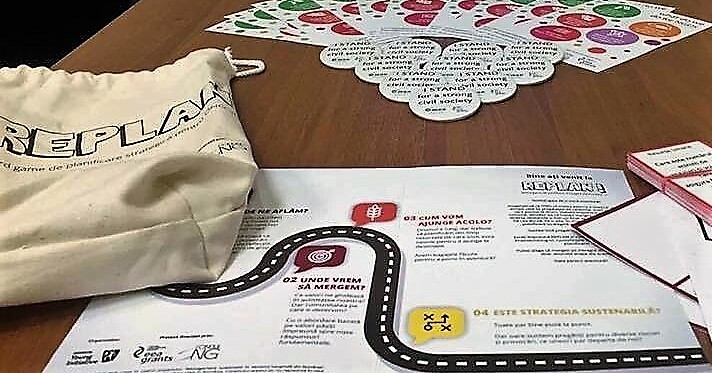 The Young Initiative Association from Romania has designed a board game called RePlan, which helps NGOs to train employees/volunteers, as well as to identify strategic options for development. An interview with Adela Fenichiu, General Secretary of Young Initiative, reveals more insights into how to use the board game. What is RePlan and how did this idea emerge? 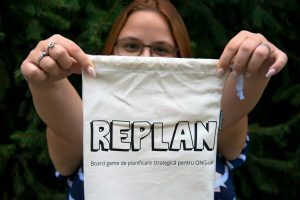 RePlan is the first board game created for NGOs to guide them through the complex process of strategic planning. The idea emerged as part of a wider project, called the NGO Management Centre (CMON), funded by the EEA Grants 2009-2014 and with the financial support of the NGO Fund in Romania. At the NGO Management Centre, part of AYI, we focus on empowering non-profit organizations from Romania through education. We support hundreds of NGOs in increasing their organizational capacity through better management methods and channeling their passion for a cause into tangible results and lives changed in the community. Throughout the project, there was a point when we had some savings in the budget, on one hand, and on the other hand, we had to come up with a really creative way to keep the project sustainable after the funding period. So, since we had been thinking about creating such a game for a while but haven’t had financial and human resources at hand, we ceased the opportunity and created the game, afterward distributing it to 150 Romanian NGOs in. Since the waiting list was almost triple, we decided to further produce the game and sell it, also making it the first social entrepreneurship initiative of AYI. By now, we sold over 100 games and RePlan is also available in English and Norwegian. Please, describe briefly the concept of the game. How could NGOs use it? Is it designed specifically for certain types of organizations? In brief, the game has 4 phases (“Where are we now?” / “Where do we want to go?” / “How do we get there?” / “Is our strategy sustainable?”), that can be played together or separately, like 4 mini-games, according to your needs. The main rationale behind the game is the need of many organizations to have an easy-to-use, non-formal, yet very practical tool that can help you through the process of thinking and planning the strategy, while also proving a good self-diagnostic tool as well. Very importantly, RePlan is not a fictional game, it is a tool that you can apply directly to your organization or that you can use for a case study in a training context. RePlan is not designed for NGOs in a certain area of activity, it can be used by any type of non-profit or non-governmental organizations, but the number of persons that can play at once is between 3-10. As the game is quite flexible, we had orders coming from multinationals or universities. Would you recommend the game to be used for training new volunteers and employees of NGOs? Next PostNext How is crowdfunding related to the development of NGOs in the future?